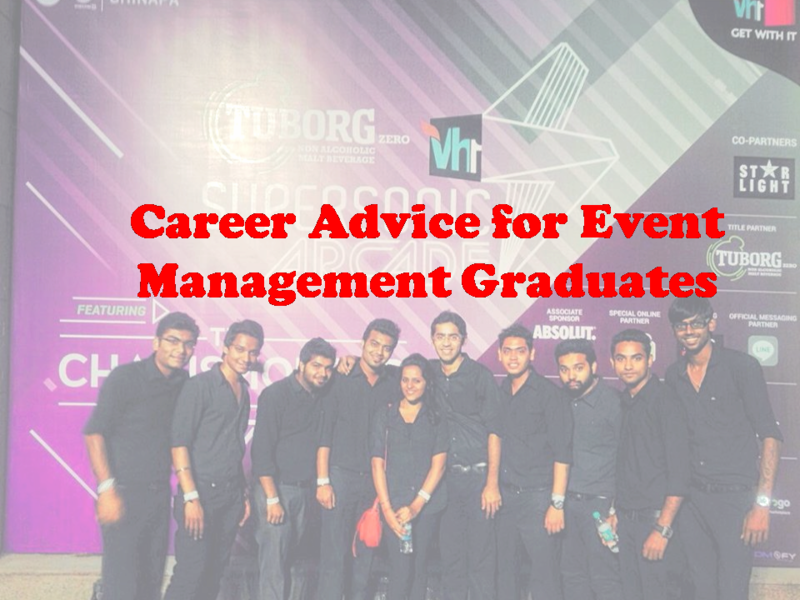 In the last couple of decades, event management has emerged as one of the most promising career domains. Considering this, many of the renowned universities, colleges as well as institutes are offering degree, certificate and diploma courses in event management. But, what exactly is event management? Well, event management is the process of application of the project management towards the creation as well as development of events happening on a large scale like conferences, festivals, parties, ceremonies, convention or concerts. The whole process involves studying the brand, devising the concept of the event, identifying the audience that needs to be targeted and coordinating all the technical factors before the event actually happens. There are various event management courses available. Working on creating networks and building quality relationships on a professional level would help a management graduate to eventually sustain a place for themselves in this highly competitive industry. Beginning right from the fellow batch mates to the academic faculty and from the club members to the internship people, you never know when you would have to establish a business partnership or work on for event collaborations with them in the long run. It is therefore crucial to keep the networking game on point right from the very beginning. Restricting yourself to a certain niche in your domain is actually the biggest obstacle that you can impose on your career. Being a graduate in event management, you need to have a rather extensive portfolio. You can volunteer in events like concerts, sports events, conferences, corporate meetings, festivals or weddings while you are studying to get a practical experience. This would also help in creating an impressive portfolio while also having enough expertise and experience by the time you actually graduate. One should never be scared of feedback. Seeking reviews and feedback on your projects and the events that you are a part of from the faculty or the attendees would help you in understanding a lot of things. You would be able to analyses all your strengths and weaknesses. You might at some point of time receive bad reviews or criticism but, that is how things work. Instead of feeling dejected, you should encourage yourself to work better and harder and take up all the challenges that come in the way. Having a positive approach towards work would help you in being successful. Keeping a close watch on the latest trends is a compulsion which would help you in analyzing the current demand of the market. Studying closely the regional as well as the global trends would help you in getting better ideas and also help in being a trendsetter in this industry. 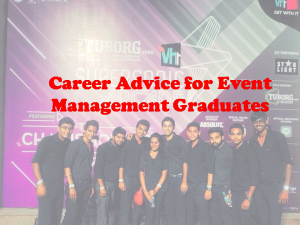 As an event management graduate, one must understand that it is a rather dynamic field which keeps on changing with the influence of newer strategies, ideas and trends. Therefore experimenting with new ideas and having an open mind to learn specialized skills will help in enhancing your overall experience and expertise. The importance of event management courses in India are gaining in importance.